But I definitely make an evening of it. This year I’ll be watching at a friend’s party, but no matter where I am, I always watch with a tall glass of wine, and equally tall expectations for everything elegant. However, there is one thing about the Oscars that just…urks me. Now, don’t get me wrong: I absolutely love the fashion. In fact, getting dressed up is one of my all time favorite things to do. Which, tbh I can’t believe I’m saying that, given the loooong history of self worth issues lingering from my anorexia. An issue that, for years, manifested itself in never buying myself any new clothes. I love the fashion. I love the beautiful gowns and handsome tuxes. How you dress is a fun and creative way to express yourself and your individuality. And on a more personal level, I’ve recently come to appreciate how getting dressed up is also an expression and celebration of beauty. It is not the be-all-end-all. Watching the red carpet, it’s frankly nauseating how — actress after actress — the lead off question is always, “Who are you wearing?” Nevermind the movie you’re starring in, or how you feel about being nominated…who are you wearing? It bluntly demonstrates that you are your label. And you know what, maybe I’m reading too much into it. I mean, it’s practically a commercial – a contractual obligation: the designer gives the actress a free dress in exchange for some lip service on the red carpet. I get that. But, what really is that communicating? This isn’t some feminist rant. I’m not about to take to the streets and start burning bras. DOWN WITH THE ACADEMY! Yes, the dress is beautiful. Elegant. Extravagant. Worthy of a Disney princess. And yes, the dress makes the actress look amazing. But it’s not the dress that’s making the woman look beautiful. It is the woman in the dress. We give so much attention and importance to the dress, but the truth is, it’s the woman wearing it that’s newsworthy. She is what gives the dress any value. It has taken me years to realize and appreciate this. And quite honestly, I’m still on the journey to truly grasping and accepting that truth. A truth that took me down to the pit of ED hell and back in order to learn. My worth doesn’t come from “who I’m wearing.” It doesn’t come from a thigh gap, or a number on the scale. It doesn’t come from perfect grades, or the perfect degree, or the perfect boyfriend/car/job/house/vacation/handbag/friend group/Instagram following/[insert your “thing” here]. It comes from He who lives in my heart. It comes from being made and being loved by God. It comes from being bought at a price that I cannot and will not ever be able to repay. It is so much more than a dress. I’d like to applaud ABC for the steps they made this year to focus more on the woman as a person, rather than “who she’s wearing.” I wrote this piece before watching, and I was going off of the norm in previous years. So kudos to progress! Well written. 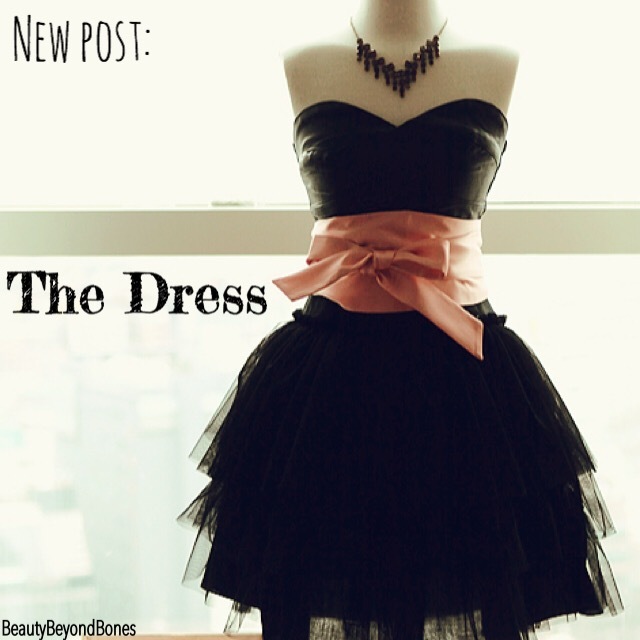 It is definitely so much more than just the dress. The whole beautiful person inside, that’s what counts. You’re so right, Miriam. It is the whole person: mind soul and spirit! Thanks for stopping by! Hope you have a lovely evening! Also call me gauche or whatever, but some of those gowns are just not appealing, no matter how gorgeous the model is. It’s not her fault, she’s wearing a name brand that has worth and value to somebody, but it’s bit weird that the brand name has become more important than making someone look good. I like dress up too, I think it is a fabulous way to have some fun and feel good about yourself. Just don’t ask me who I’m wearing, that’s tacky. ABC is about real journalism and less sensationalism. Robin Roberts and team rock the red carpet every year. I definitely love this post! I do agree with what you said that it’s not what you wear that counts but who wears the dress that matters. Thank you so much. Yeah definitely. It’s the woman who makes the dress! Thanks for reading! Have a great night! Once again, you have nailed it! Thank you for putting the emphasis where it should be. Beauty has never been about the external. I admire you for being beautiful inside…I will read all you post because I only knew about your site now….Thank you for liking my post. It’s been a real ordeal for my entire family and sharing it with other people to glorify God makes me feel wonderful inside! Yes! The Apostle Paul said to put on the Lord Jesus. Also wherever you go wear the perfume d’Christ! Sweet! Thanks! Hug you back! Have an awesome night! Shalom! Thank you so much John! You have such great wisdom and insight. I love reading your words:) funny you should ask that-because a film I was in this summer is premiering at a film festival this coming weekend, so I’ll have to do the red carpet thing. But yes, I actually won a (regional) Emmy award as a child for a television pilot I was the lead in. It was definitely a surreal experience. Something I will never forget. I couldn’t reach the microphone as an 8year old little girl so the MC had to hold me up so I could say my thank you’s. It was kinda funny. But anywho – wow! Trip down memory lane there haha but thanks, as always for your friendship and support, John! Hugs! I like your posts. They have such a personal feeling about them and I suspect that’s because what you write comes from your heart. To give you a sense of my generation I was really saddened when I heard Karen Carpenter suffered from ED and eventually died. She had such beautiful voice. I will always miss her singing. I am glad you found Jesus and recovered from your ED before it took your life. From your pictures you appear to be a very pretty woman. Keep up the good work on yourself both inside and out. I think you can relate this concept to weddings too. Far too much value and hype is placed on the dress, like it’s the main event. It’s not! I’m glad I felt beautiful in my wedding dress, but it wasn’t the end-all and it sure wasn’t one for the red carpet. I wore a pretty white dress and got married to Ben before God. I didn’t not wear a pretty white dress to have magnificent photos with a million compliments on how it looked on me. That just wasn’t the point at all. 🙂 Enjoyable post, here! Totally agree with your post. I’ve always hated when they asked that question. This is so beautiful, wonderful words about the inner person. I love watching what the women are wearing; I have a dress and jewelry fettish. When I was younger, I tried to imitate my favorite actresses, but as I’ve gotten older and wiser, I know that beauty goes beyond appearance. I love dressing up–it makes me feel beautiful, and I do feel beautiful inside when I know I’m rocking an outfit! Very well said young lady. I totally agree! Wrote a chapter based on the same premise. Love your angle on it. I did appreciate the change in emphasis this year, as well. Hey Vanessa! Thanks so much. Oh cool! I’d love to read that. yes, very refreshing change indeed. And one that I clearly didn’t see coming! 🙂 thanks for stopping by! hugs! As a writer your phenomenal. You write so on point about topical issues that matter and somehow you managed to have my eyes noticing every little detail I love your writing which is if I may say so absolutely amazing. Now in the past you said you’re an actor, however being a person from the outside world I don’t watch many movies that have worldly concepts to them. If I may be so bold as to ask you what kind of movies do you star in? Where could i get a movie or two with you in it? Thank you for your kindness an endless amount of patience with in regards to my comments but it sometimes can be rather lengthy. However, I would say that if my comments are rather lengthy on your blog post you then should consider that a compliment because it means you have my ears nm listening to the words that you speak in your blogs. thanks so much! that really means a lot. lots of indie stuff. Can’t really go into too much detail without disclosing myself:) but thanks for the encouragement. have a great night! Oh it’s a cat and mouse game. I understand that, I can accept that and respect your decision not to disclose any information but do know this, your blog/website is a wonderful idea, I also have grown quite fond of your blog. In fact I don’t even care what your name is just know that you’re my favorite bloggers and the reason is simple because with every blog you seem to have a way to bring in Jesus always into the picture and that alone makes me incredibly happy to see that and read that. Keep it up you’re a champ. As quoted in Lion King Hakuna Matata. Well spoken. It’s our inner light that shines and helps us recognize that inner shine in others. Thank you so much! You’re so right — we all have that inside. And so true that it can help bring out the shine in others. thanks for stopping by! hope you have a great night! Wonderfully written. You expressed yourself eloquently. Thank you for bringing attention to something that probably flies under the critical-awareness radar of most of us much of the time! Aw thank you so much Alheri! That really means a lot. At this time I’m not taking features but if that changes you’ll be the first to know ☺️☺️ thanks for your kind words! Hugs! Thank you for sharing your words. As the mother of daughters, I love hearing these messages of truth and encouragement that stand in opposition of what the world says to them.. I’ll be sharing this with my teenager tomorrow. “I’m wearing Jesus” … Love. Enjoy the progress! I believe every women could be inspired by what you’re doing right now 🙂 Good luck I guess! I love love love!!!! I’m wearing Jesus!!!! Thank you for your writing! So often, we quickly judge one another by how we look rather than by who we are. I love this! I can’t find the like button though 🙁 my like of this post is in spirit though! Are we the consumer? Or are we consumed? It’s poignant and hard-hitting. I am with you when I say that I am against labels and anything as derogatory as a piece of clothing out to decide your individuality. I have often looked and laughed at the snide “Who wore it better” comments and follow ups. Does it really matter? It’s the Oscars and shouldn’t it be about celebrating riveting performances and the accolades that follow. I rather witness the blood and sweat gone into the making of an amazing movie, applaud the off beat efforts of the cast and crew. Nevertheless it’s the Oscars and just another glorious night with stalwarts at the helm of affairs. Much love to you😊😊 It’s a lovely post and couldn’t stop myself from extending support and commenting. Good for you!!!! I agree, your beauty is in who and what you are in God, our Heavenly Father, not what you wear, and you sound like a very “beautiful” person. God be with you!!! Thank you so much 🙂 you’re so right – it is from the Father that we get our beauty and worth. thanks for stopping by and for your kind words of encouragement! hugs ! The flip side of it is that there are often commercial arrangements in place and the actress needs you to find out who she is wearing. The whole thing is very commercial. So, it is good to get back to God and away from all of the money making malarkey. I’m wearing God, too! That last line was my thought exactly: Who are you wearing? I’m wearing Jesus. Let Him be our “label” if we choose to brandish one and let us have the opportunity to ask others the same question, in hopes of bringing those to Jesus, so many more can wear His “label”. Thanks for sharing friend. It’s not about the dress. It’s about the soul in the dress. Thanks Carson! ☺️☺️☺️ glad you stopped by! Happy Tuesday! I’m going to remind myself all day today that I’m wearing Jesus! Love this! So even though today is a sweatpants, tshirt type of day, I’m wearing Jesus! Thanks for the great post and perspective. By the way… never knew there’s such a thing as a “thigh gap!” LOL! Never had a gap, so didn’t even know about it! A few years ago, I went in to see my therapist in full dress with big floppy hat. She suggested I dress up every day. i took her advice to heart. Unfortunately, my pocketbook suffered for it, for while I had lots of wonderful clothes (I worked at Chico’s for 4 years), I ‘needed’ to complete the look with hats, shoes, bags, costume jewelry,…the whole nine yards. I ad’dress’ (pun intended) this issue in my blog Turning 60 in the post titled “My Addictions.” The direct link is http://turning60.me/2015/03/03/my-addictions/ . Perfection? What is that? It’s just a word. If something is perfect, there is no direction to go except downward. Loved the post. My son lives with cerebral palsy so the focus is on his abilities, not the disabilities. 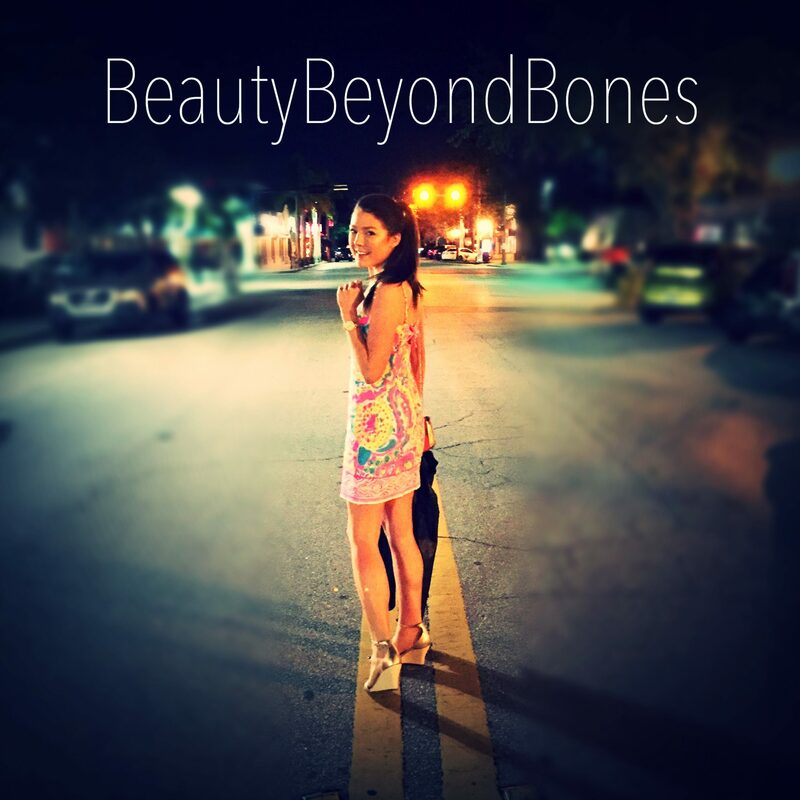 Rock on Beautybeyondbones. Excellent work you’re doing. Aw thank you so much! I’m glad you liked my post:) hope your week is off to a great start! Thanks for reading! The truth of your line, “I’m wearing Jesus” made me chuckle out loud. I needed a reminder today, that we are more than enough, because ‘he’ is more than enough if we are wearing him. God Bless. Thanks Nanny! ☺️☺️☺️ how right you are-He is DEFINITELY more than enough:) glad I made you chuckle this morning:) thanks for stopping by! A timely message puts everything into perspective, you are a blessing. People always judge me for how I dress without even knowing the real me. Because ppl around me are a bit conservative. I’m a little conservative but whenever when I do something unexpectedly, something out of norm, then BAM all eyes were like judging me. It’s bugs me for a moment but then I realize being yourself is what more important. I wish I read this when I was in high school. It would have given me perspective on what beauty is all about. Even now, married with 6 kids, it is a good reminder of what beauty is all about. I remember hearing “When you get dressed, clothe yourself with Jesus” and your “I’m wearing Jesus” reminded me of that. Thank you for yet another powerful and inspirational post! Blessings! Thank you so much:) I appreciate your encouragement. Thanks for stopping by! Hugs! You are wonderfully and fearfully made! Beautiful post. God is so good. And he works in mysterious ways FOR SURE! Your writing is beautiful! You encourage me to look beyond my own bones to the beauty found in the redemptive work of the cross, to realize that I more than my failures as a wife and mother, to accept the love and forgiveness bought by the blood of the Son of God who cares deeply for ME! I mind the “Who are you wearing?” question, but not for the reason you do. As an editor, I cringe when it’s asked because the actor isn’t wearing anyone. The question should be “Who designed the dress you’re wearing?” or “Whose dress are you wearing?” A-list female actors are walking advertisements for the designers who loaned them the dresses. In fairness, the designers should be mentioned; otherwise, the actors would all be dressed off-the-rack gowns. *dressed in off-the-rack gowns.” Some editor I am.